As a bodybuilder, it's easy to focus too much on supplements for building muscle, while forgetting the importance of maintaining general health. Before long, you're left with a Bodybuilidng.com cart containing only whey, pre-workouts, and creatine. If that sounds like you, consider broadening your horizons beyond performance and into overall health. None of these five overlooked gems are new, exotic, or hard to pronounce, but they're all worthy tools to consider when you commit to looking and feeling your best. "Unlike many superfoods that turn out to be not-so-super, blueberries have solid research backing their effectiveness." Unlike many superfoods that turn out to be not-so-super, blueberries have solid research backing their effectiveness. While they've always been popular as a food, they're not often taken as a supplement. This may be because supplement companies figure we're already eating them. The berries are widely available, have an excellent safety profile, and are easily incorporated into delicious pies! In addition to being a great source of fiber, blueberries and bilberries contain many beneficial compounds such as resveratrol and anthocyanins. Anthocyanins give certain fruits and veggies their dark colors, and provide a variety of cognitive benefits. This is due to their antioxidant properties, which help support healthy inflammation levels in the brain and nervous system. If you'd prefer to eat blueberries rather than take a supplement—and who can blame you?—you have plenty of options. A handful of berries, either fresh or in a shake, are delicious. 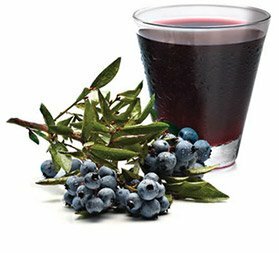 Other forms, such as blueberry juice or freeze-dried blueberries, still maintain the health benefits of fresh berries. Studies have indicated you only need to eat less than a cupful per day to derive some benefit. Our only tip is to keep fresh berries cool, since refrigeration helps prevent loss of anthocyanins. Choline supplements are underrated in general. Choline is essential for a healthy nervous system, and needed to prevent the accumulation of fat in the liver. It also has the potential to reduce food cravings due to increasing dopamine levels in the brain. Meat eaters assume they ingest enough choline; the richest sources of this essential nutrient are foods like eggs, seafood, and poultry. But in many cases, people can still benefit from more; a number of studies have concluded that there's an optimum level of choline which is higher than the adequate level. Vegetarians, on the other hand, are often deficient and can almost always benefit from supplementation. "The richest sources of this essential nutrient are foods like eggs, seafood, and poultry." CDP-choline, also known as citicoline, can benefit nearly everyone because it offers an efficient way of getting choline where it counts. CDP-choline increases acetylcholine levels in the brain more reliably than typical choline supplements—such as the bitartrate and lecithin forms—possibly because it contains both choline and cytidine, which your body converts to uridine, another precursor to choline. Dosing with this supplement can be tricky. Some trials show an improved effect with a lower dose of around 500 mg than with a higher dose—like 2,000 mg. It might be wise to start with a lower dose to see if it works, and then go up from there. While CDP-choline is fairly safe in normal doses, don't take it without discussing it with your doctor first if you suffer from depression or diabetes. CDP-choline can have strong effects on hypothalamic-pituitary-adrenal (HPA) axis hormones that are involved in both depression and diabetes. Vitamin K is important for general health, and it's difficult to get enough of this micronutrient through diet alone unless you really like things like natto, matcha tea, and dark green vegetables. Unfortunately, few people take vitamin K unless it's included as an ingredient in something else, such as a vitamin D supplement. Optimal levels of vitamin K are associated with increased bone health, among many other benefits. The nutrient also plays a key role in supporting healthy arteries. As we noted in our last article about supplements for skeptics , vitamin K should be supplemented alongside vitamin D. The two vitamins are even better for you when combined, since they work synergistically. Berberine is an alkaloid extracted from a variety of plants used in traditional Chinese medicine. In the body, it activates an enzyme called AMP-activated protein kinase (AMPK) through the mitochondria, the same mechanism through which metformin—the leading drug for type-2 diabetes—exerts its effects. Berberine is most commonly taken as a supplement by people who want to support a healthy inflammation or blood sugar response. * Berberine also supports healthy cholesterol levels. It's surprising that berberine isn't more popular. Of course, like any supplement, you should do your research before taking it and make sure it's right for you. If you decide to give it a try, spread your intake across 3-4 daily doses, because too much berberine at once can result in an upset stomach, cramping, and diarrhea. Preliminary research suggests that garlic may also assist with long-term fat loss by converting white fat to its thermogenic counterpart, brown fat. * Studies on rats suggest garlic can increase longevity as well. We could go on all day. Aged garlic is popular to use for supplementation, since it doesn't have a fresh garlic scent. However, garlic supplementation can also cheaply be achieved through diet alone. 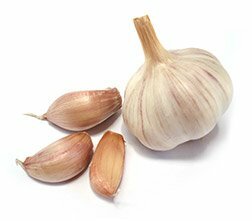 Try to eat a clove of garlic 2-3 times per day, which seems to be the minimum effective dose based on the current research. Microwaving it beforehand will partially destroy garlic's allicin, the compound which provides most of garlic's health benefits. Grilling and roasting will not damage the allicin, as long as you slice or crush your clove and let it sit 10 minutes or so before cooking. The side effects of more garlic in your diet will include strong garlic-scented breath, but also better-tasting meals, so there's a give and take. Eat as much as your diet allows, don't be afraid to supplement moderately, and wear your halitosis with pride.